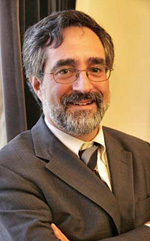 At the SF Democratic Party’s annual Gala on March 7, former Board of Supervisors President and DCCC Chair Aaron Peskin announced that he will not run for re-election to the Central Committee in June. “It has been a great four years,” he said. “To those who are running, I say good luck.” Peskin was first elected Party Chair in July 2008, after progressives swept control of the DCCC, and he narrowly defeated incumbent Scott Wiener. With Peskin having returned to his maverick role, many will now wonder what his exit means for his political future – as well as that of the DCCC. Supervisors Eric Mar, John Avalos, David Campos and David Chiu all appear to be running for re-election to the body, although as of yesterday Avalos had not completed the paperwork (today is the deadline for DCCC candidates to file.) Meanwhile, Supervisors Scott Wiener and Malia Cohen have taken out papers – as well as moderate politicos London Breed and Warren Hinckle. On the West Side, a surprising number of young progressives are running for the Central Committee – Peter Lauterborn, Wendy Aragon and Kevin Bard.